By Chris Gosier on November 13, 2017 for Fordham Magazine. Profiles/Q&As. 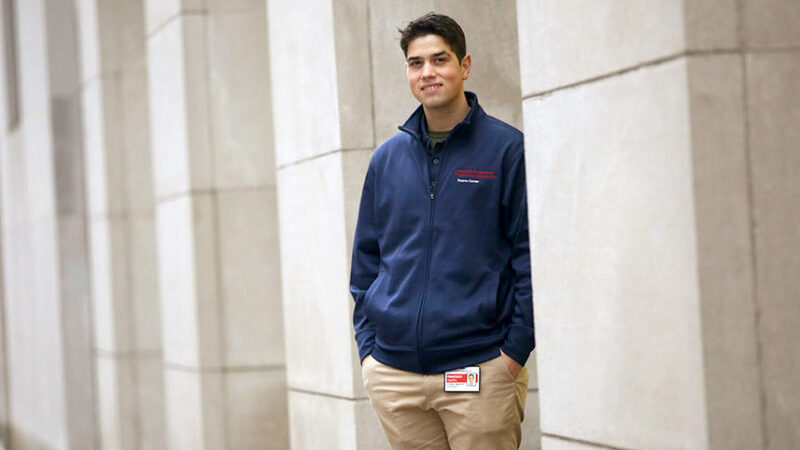 Francesco Ciuffo, FCRH ’17, came to Fordham wanting to be a doctor, and today he’s still pursuing that goal, working as a medical scribe at a big New York City hospital. But along the way, he made a deep foray into new technologies that could bring big changes to medicine as well as other aspects of daily life.